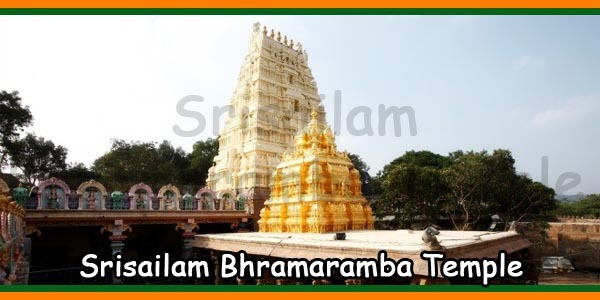 The Bhramaramba Mallikarjuna Temple, better known as the Srisailam Temple, is present in Kurnool District, Andhra Pradesh. The temple is located atop the Nallamala Hills, on the banks of the Krishna River. In addition, the lingam deity presided over by Lord Mallikarjuna Swamy is one of Shiva’s twelve Jyotirlingas. The famous hill is as popular as Siridhan, Srigiri, Sirigiri, Sriparvatha and Srinagam. It is also one of the most important Saivite pilgrimage spots in India. 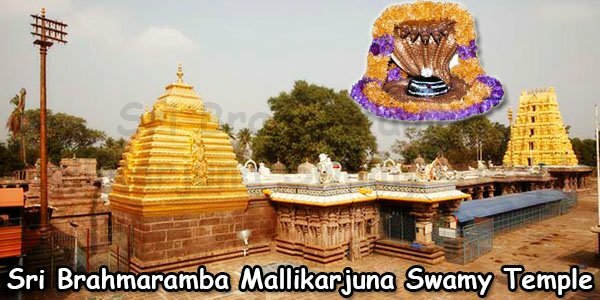 There are two distinct temple complexes in the interior: one dedicated to Lord Mallikarjuna and the other to the goddess Bhramarambha. According to the history of the Srisailam Temple, the mention of the Srisailam Hills dates back to the Nasik inscription of King Vasisthiputra Pulumavi of Satavahana in the first century AD. The kingdom of Ikshavakus led Srisailam from the year 200 to the year 300 AD. Entries dating from around 375 to 612 AD declare that the Vishnukundis were devotees of Sri Parvathsawamy. According to Shiva Purana, when Lord Ganesha was married before Lord Karthikeyan, Lord Karthikeyan got angry and went to Kraunch Mountain. Lord Shiva and Goddess Parvati tried to comfort him but could not stop him from leaving. Depressed, Lord Shiva took the form of Jyotirlinga and settled on top of the mountain. Another legend is associated with the Srisailam temple. Chandravathi, daughter of Chandragupta Patana, escaped from her father, who made him loving advances. She crossed the Krishna River and climbed the top of the hill where she lived with her servants. She observed that one of her cows was standing on a rock formation and spilling milk on it daily. The princess dreamed that the rock was a Linga of Lord Shiva that manifested itself. As a result, she dug the floor and a bright Linga emerged from there. She worshipped the Linga daily by decorating it with jasmine flowers (Mallika). Lord Shiva was very happy, so he granted Mukti and salvation by sending him to Kailash. 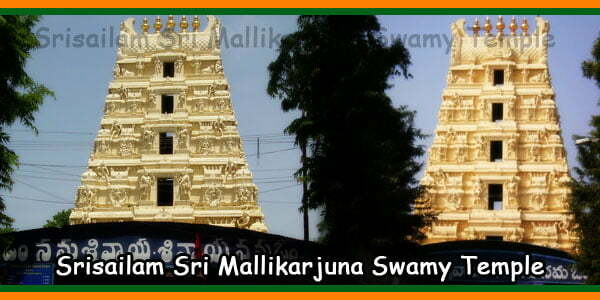 The significance of the Srisailam temple is that Mallikarjuna Linga is one of the twelve Jyotirlingas of Lord Shiva. It is assumed that he appeared in a column of burning light. In addition, the Linga is swayambhu. The devotees also believe that Sati’s neck fell here when his body was cut off. Anyone, regardless of caste, creed or religion, can perform Abhishekam and Archana to Mallikarjuna Linga. The unique feature is that you can touch the Linga and perform Puja yourself. Beliefs also say that Lord Rama himself installed Sahasralinga in the Srisailam Temple. The Linga is divided into 25 facets that each represent 40 Lingas. This leads to a total of 1000 small Lingas carved in a single Linga. The Pandavas placed the Panchapandava Lingas in the courtyard of the temple. The five Lingas bear the names of the different forms of Siva: Sadyojatha, Vamadeva, Aghora, Tatpurusha and Eesana. In addition, the stories of the Mahabharata are present on the walls of the temple. 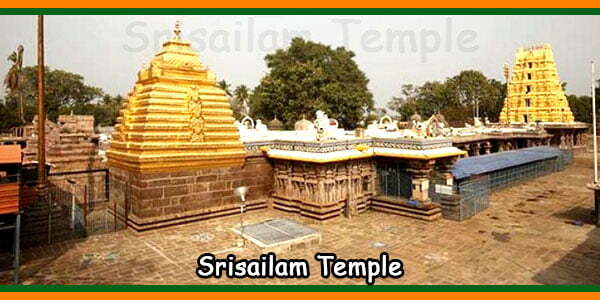 The Srisailam temple is also mentioned as a sacred hill of the Mahabharata. NO strict dress codes, but for male devotees it is advisable to wear dhoti/angavastram, if one wishes to perform “Abhishek”. Mahasivaratri Brahmothsavams:– The Mahasivaratri Utsav occurs in the month of February or March. The Mahasivaratri day (29th day of Magham) marks the beginning of a seven day festival period. The important events are Ankurarpana, Dhwajarohana, Vahana Seva to God and Goddess as well as Lingodhbhavakala Maharudrabhishekam to God. Ugadi:– The celebrations happen for five days in which lakhs of people visit the temple for God’s blessings. The festival begins 3 days before Ugadi (Telugu New Year) which occurs in late March or early April. The important events of the celebrations are Vahana Seva to God and Goddess, Alankaras to Goddess, Veerachara Vinyasalu and Rath Yatra. Kartheekai Mahothsavam:– It is one of the most auspicious months in the Indian calendar. Devotees light numbers of deepams are in the srisailam temple premises. They also perform Jvalathoranam (bonfire) in the temple on the full moon day of the month. Sravanamahothsavam:– This festival occurs in the Shravan month (August / September). Also, the Akhanda Sivanama Sankeerthana (Bhajans) is takes placeround the clock throughout the month. Air:– The nearest airport is Rajiv Gandhi International airport at Hyderabad. It is 202 km away from Srisailam. Road:– The Srisailam Temple is present just 1 km away from the Srisailam Bus Stand. Train:– The nearest Railway Station is Markapur which is 80 km away followed by Nandyal and Kurnool. Devasthanam or the Temple management launched the Kuteera Nirmana Pathakam, a donation scheme under which they have built several suites, cottages, rooms as well as dormitories for the pilgrims. Please bring your Identity card to confirm booking. Also, one cannot cancel the booking. There are up to 70 private hotels / choultries in the area where one can avail accommodation and food. Sakshi Ganapathi:– It is located about 3 km away from Srisailam. Devotees believe that Ganapathi keeps attendance / Sakshi of the pilgrims visiting the Srisailam holy town. Also, in the sculpture, the god holds a book in the left hand and a pen in the right hand to note down the names. Hatakeswaram:– It is 5 km away from Srisailam. The legend says that God Siva appeared to a potter in Atika (Piece of Pot). Hence, this place was famous as Atikeswaram which later became Hatakeswaram. 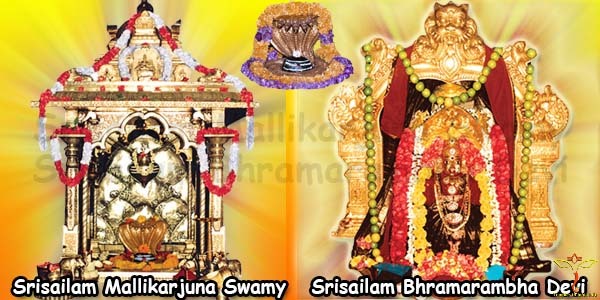 Sikhareswaram:– It is located at a distance of 8 km away from Srisailam. 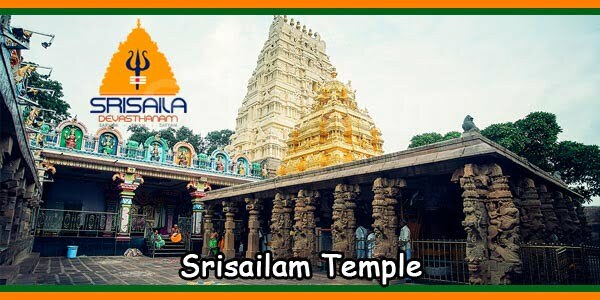 The temple is located at 2830 feet above the sea level making it as the highest peak in Srisailam. Also, the temple is an ancient stone structure. According to the Skanda Puranam, a glance at the peak will relieve the curses of re-birth. Phaladhara Panchadhara:– It is located 4 km away from Srisailam. Sri Adisankara performed penance at this place and composed the famous Sivanandalahari. Akkamahadevi caves:– It is located 10 km away from Srisailam. Beliefs say that Akkamahadevi, a lyricist and philosopher spent some years in these caves in 12th Century AD doing penance and worshiping the Sivalinga. Also, the Linga naturally existed in the deep parts of the cave. These caves are also home to Siddhas who practiced Alchemy. 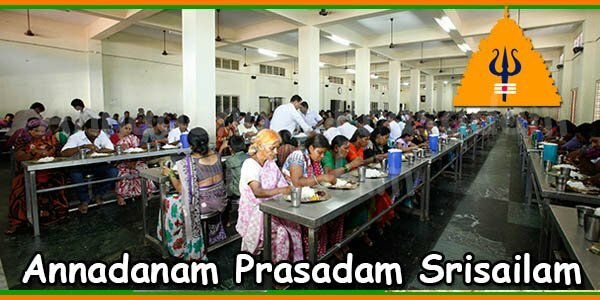 For any information regarding Sevas, Accommodation, Annadanam donation, Srisaila Prabha, Go-Shaala, Devasthanam Hospital, Please call to any of the following Srisaila Devasthanam Call center numbers.